What's the best Irish adventure for 2018? We asked you to vote, and so you did - in your thousands. Here's the winner! “You can’t not go walking or hiking when living in or visiting Ireland,” you told us. The sheer variety of activities that cropped up in your votes here was amazing. 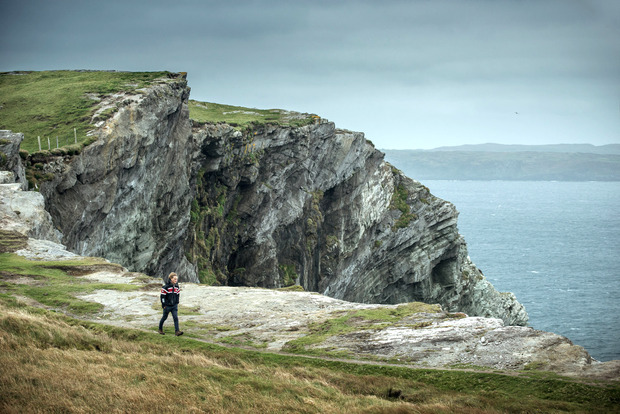 From zorbing to adventure races, coasteering to bog-jumping (“Never mind fancy trips abroad, best school tours ever!”), it’s clear that you view Ireland as a natural playground — whatever the weather. And while walking mightn’t immediately spring to mind as an ‘adventure’, that’s exactly what it is. From cliff walks to discovery parks, buggy-friendly fairy trails to epic mountain hikes, canal paths to frosty forests, the choice and variety is endless. “There are so many, and I wish they were advertised more in hotels,” you told us —accommodation providers, take note! You mentioned hundreds of individual walks in your votes (see a selection, below), pointing out that walking is free, healthy and can be as easy or difficult as you choose. 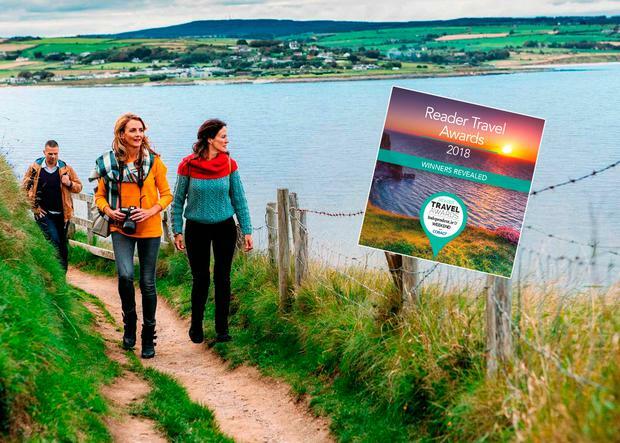 Our judges referred to Ireland’s “green gym”, and noted the growing number of greenways and looped walks (over 900 national trails are now listed on irishtrails.ie). “Walking is good for the soul,” you said. Thank goodness then, that we live in one of the world’s best little walking destinations. “Beautiful scenery, not too long or taxing a walk, suitable for most fitness levels.” Distance/time: 4km, allow an hour. “Great walk! And a visit to Howth to see the seals is always delightful topped off with an ice-cream.” Distance/time: 12km, allow three hours (looped walk). “It’s the walk of all walks. The steps take you up to the boardwalk, which then guides you along towards breathtaking views of the Glendalough Valley”. Distance/time: 5km, allow two hours (short loop). “I dare you not to be mesmerised on this coastal walk.” Distance/time: 18.5km, allow four to six hours. “The river walk starting from behind Kilkenny Castle all the way to Bennettsbridge is just gorgeous! Stunning nature as the river trickles along.” Distance/time: 12km, allow two to three hours. “It’s about 7km up to the top of the glen, it’s so beautiful and you feel great when you get to the top of the trail.” Distance/time: 7km, allow 1.5 hours (not a looped walk). 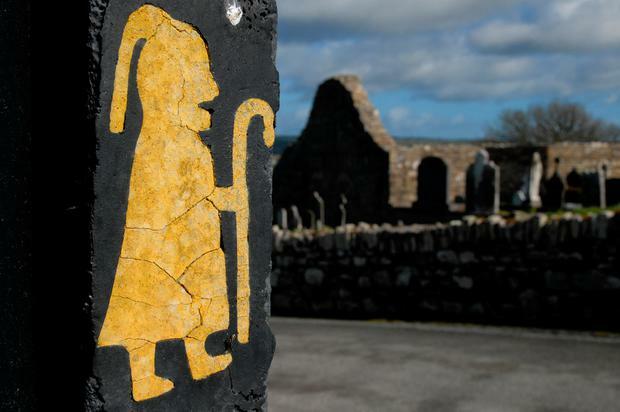 Top 20 family walks in Ireland: Get kids of all ages into the outdoors! Five of the best winter walks in Ireland - blow off the Christmas cobwebs!